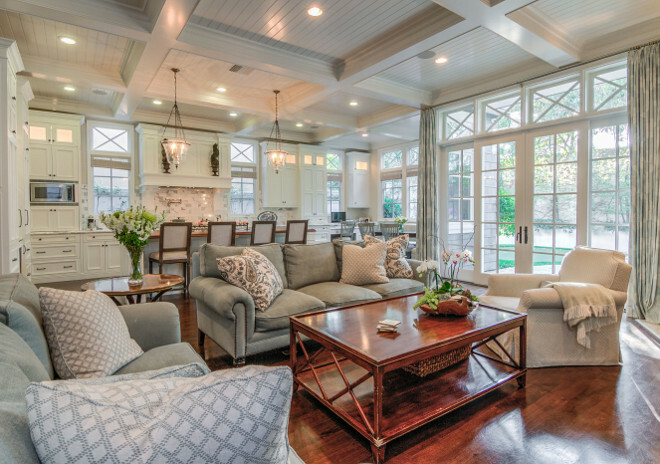 It’s great to end every week with a new post filled with interior design ideas. 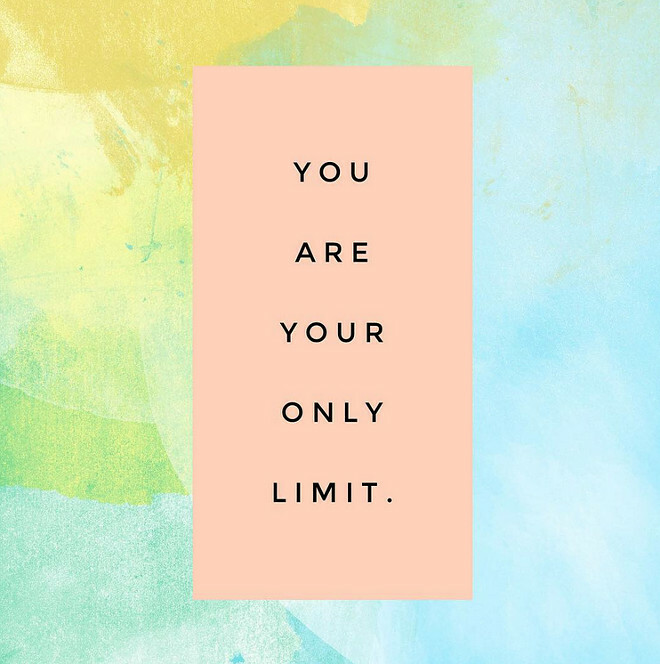 This is the kind of post that is best enjoyed in a comfy spot with a freshly brewed cup of coffee or at the end of the day, where everyone is somewhere else and you can finally take some time to unwind and relax. This series – Interior Design ideas – has been very popular for many years now and I think it’s because I try to mix several interior influences in a balanced way. If you look carefully, there’s a connection, a balance to these spaces, and even thought each space is chosen from different homes they all carry the same energy. This has to do a lot with color and small elements that connect one room to the other. 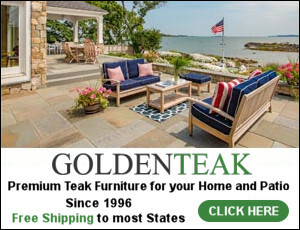 Creating this connection, inevitably, is a little trickier when decorating our home but it’s with this care and attention that we can end up having a home that has that nice, easy, comfortable feeling. I hope this post comes to inspire, relax and make you feel you’re in the right place at this moment. Have fun! 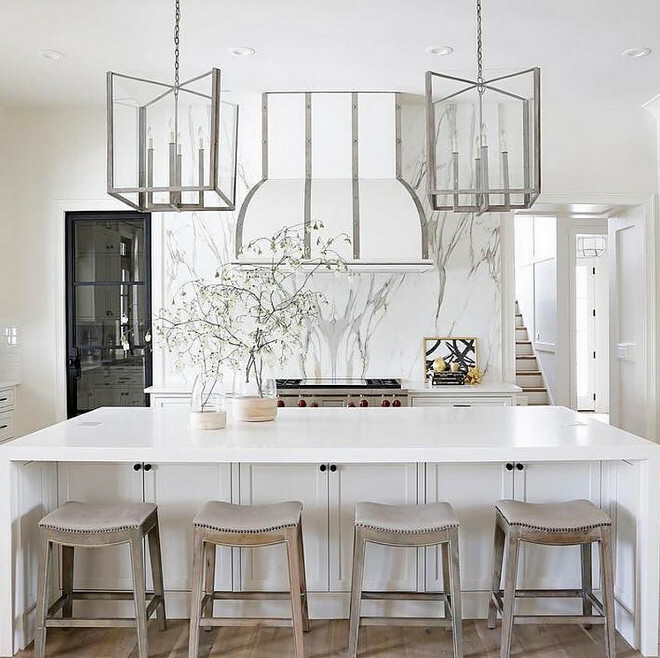 This all white kitchen features gray saddle counter stools accented with nailhead trim, positioned in front of a white center island finished with a white quartz waterfall countertop illuminated by steel and glass lanterns. 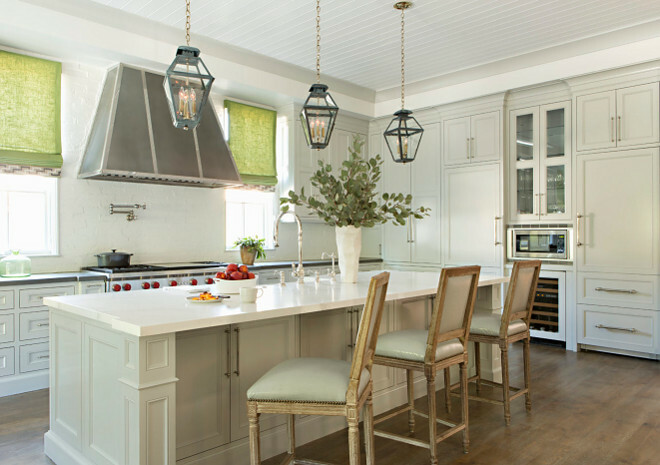 Behind the island, a white enamel hood with steel straps is mounted to a gray and white marble slab backsplash above a Wolf range flanked by white cabinets. 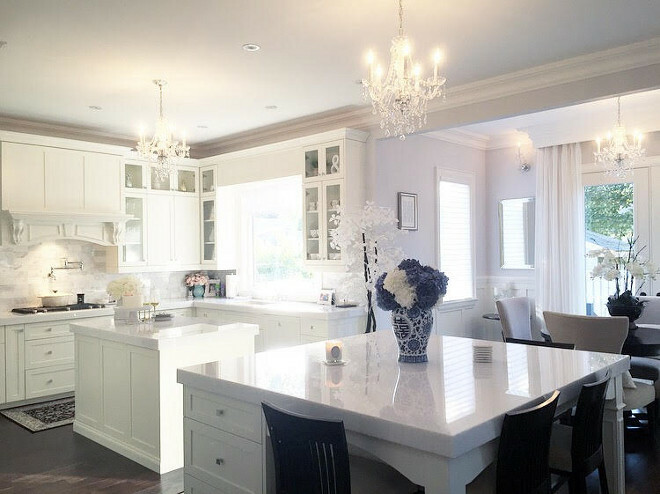 Light grey kitchen with beadboad ceiling and white quartz countertop. 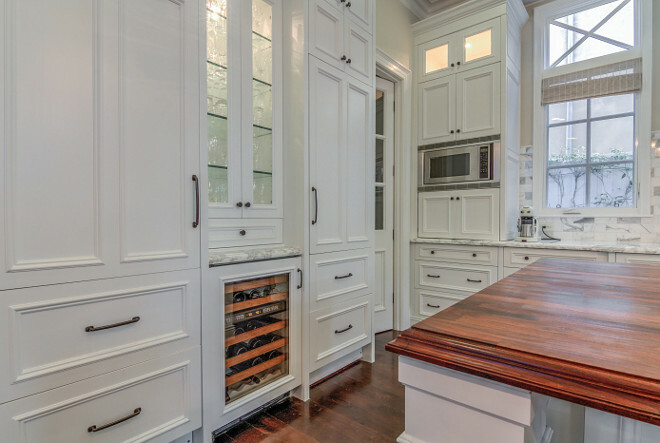 Lighting is by Urban Electric Co.
Paneled refrigerators flanked by beverage fridge and glass door cabinet. 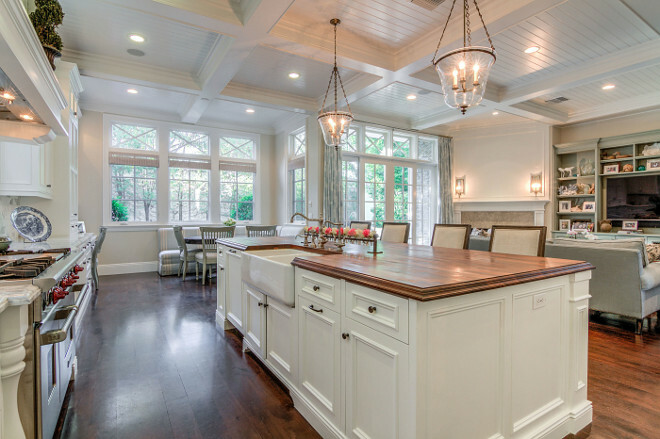 Kitchen nook with extended kitchen cabinet, kitchen desk and beadboard coffered ceiling. Notice the stunning windows. 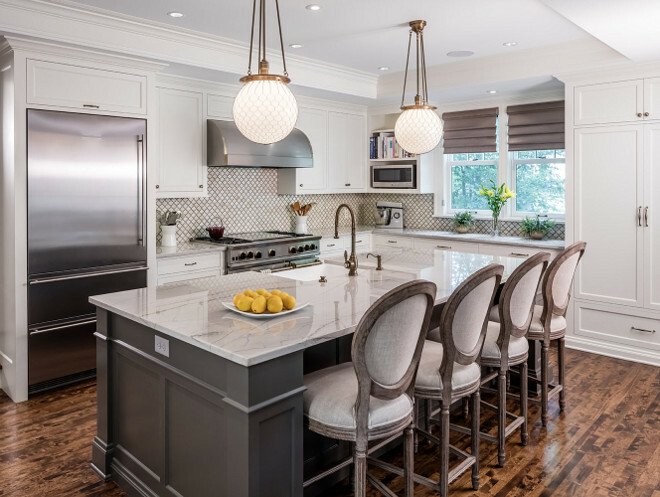 Kitchen Island Paint Color: Benjamin Moore Kendall Charcoal HC-166. Flooring is Red Birch wood. 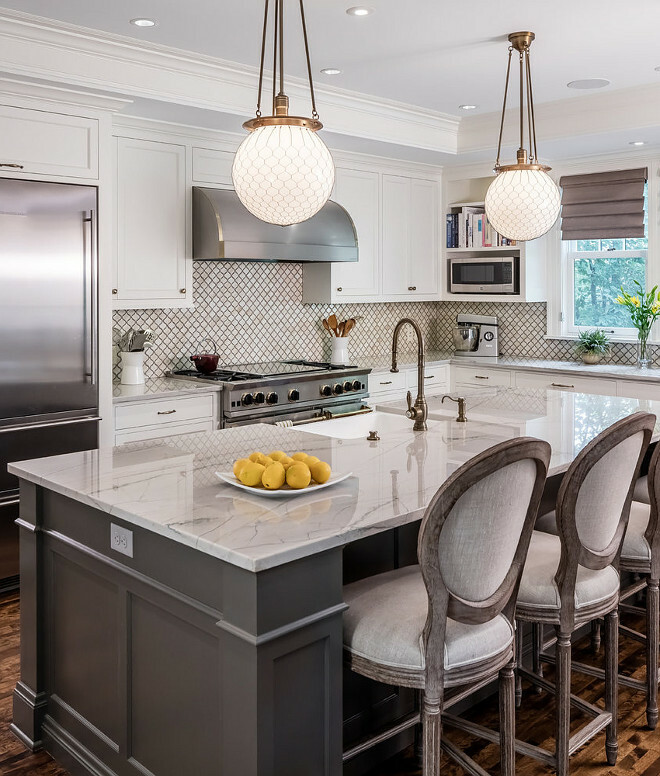 This kitchen island is nearly 10′ and features Calacatta quartzite countertop. Lights are are from Rejuvenation. 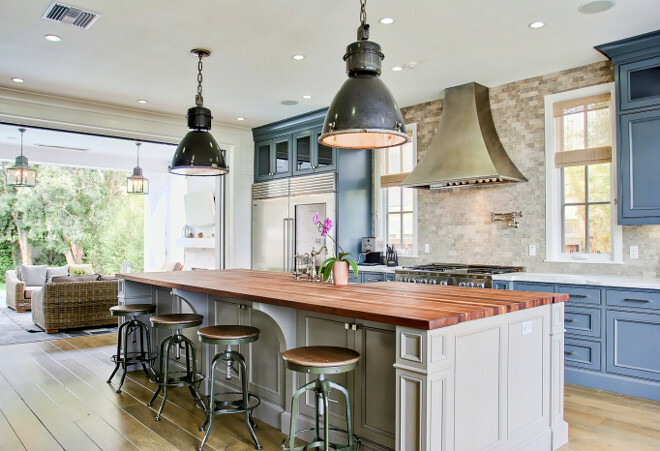 This blue and grey industrial kitchen feature black industrial light pendants hung above a long light gray kitchen island with stained wood countertop and industrial counter stools. 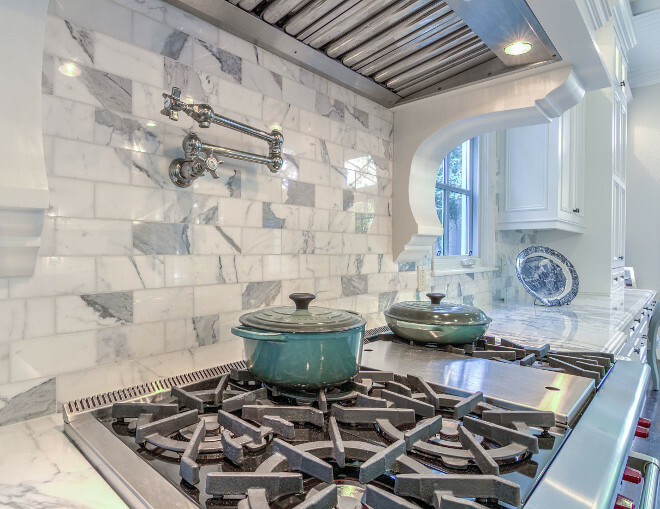 Blue cabinets are topped with a white marble countertop flaking a stainless steel oven range positioned beneath a steel hood mounted on travertine backsplash tiles. Blue grey kitchen island with siding cabinet doors and breakfast nook with circular built-in banquette. 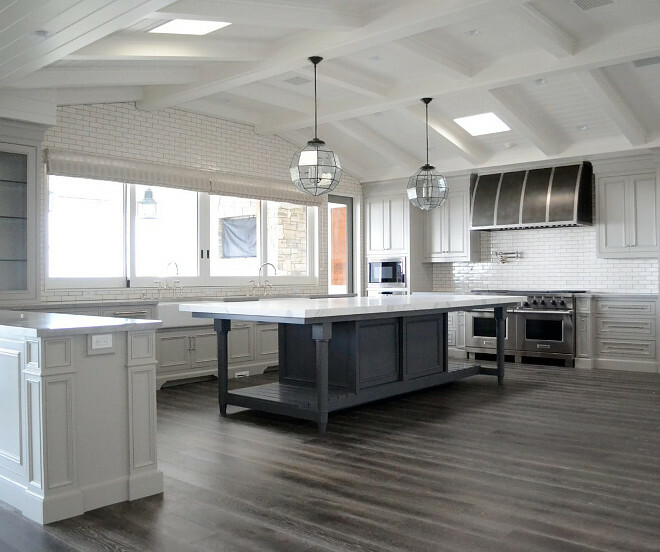 This large kitchen features a freestanding blue grey island with white marble countertop, illuminated by Visual Comfort Morris pendant lights hung from a vaulted shiplap ceiling fitted with multiple skylights. The island sits in front of a wall of windows framed by white linear tiles fixed above light gray cabinets. 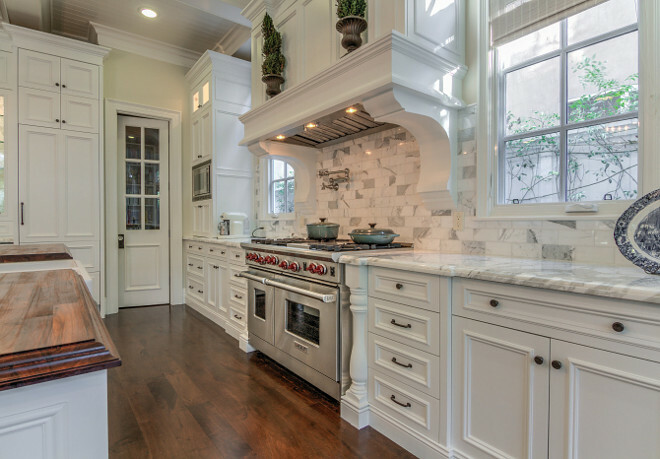 To the side, a black barrel hood is mounted on white linear tile backsplash above a Wolf dual range. 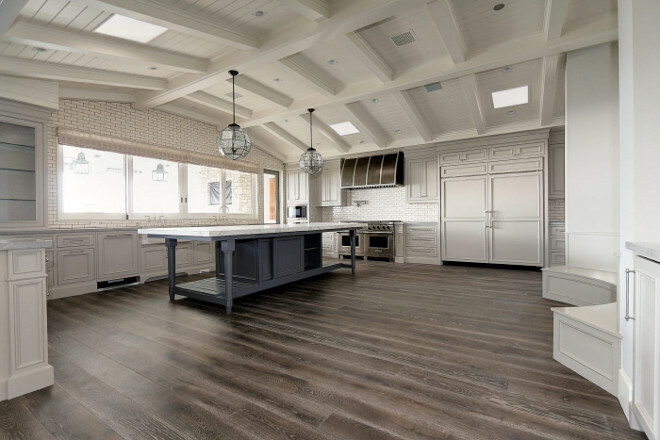 Flooring is a stained oak floor. 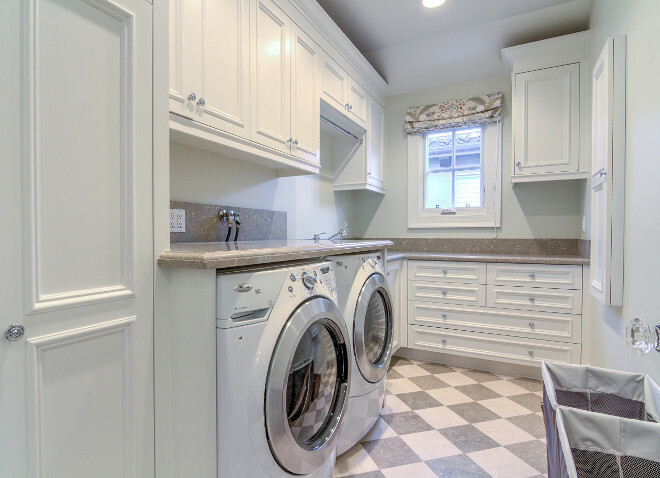 The kitchen cabinet paint color is Sherwin Williams Snowfall. Flooring : Hardwood, dark oak hand scraped. 5″ width. 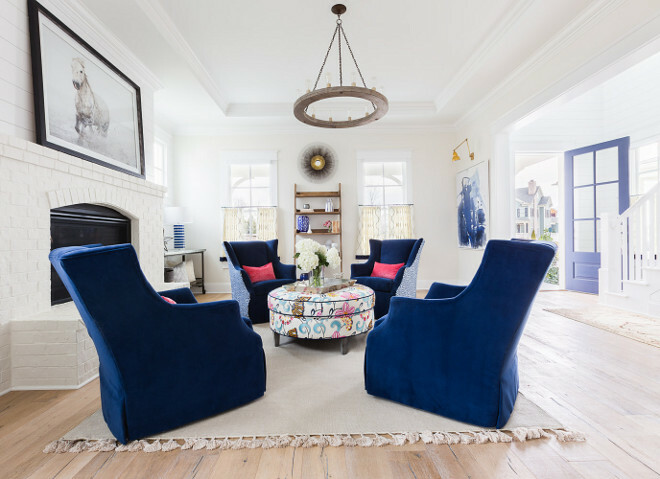 Blue and white living room with painted brick fireplace, white shiplap and light hardwood floor. 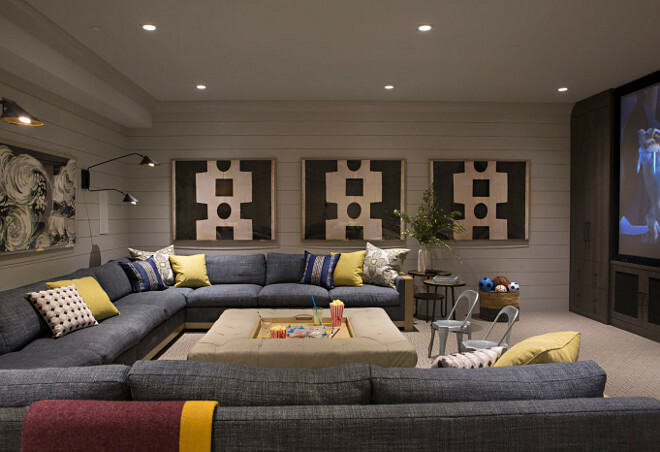 Basement media room with large sectional, ottoman with tray, carpet flooring and shiplap wall paneling. Flooring is Eucalyptus wood floor. 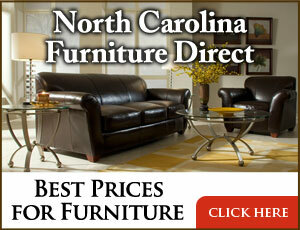 Eucalyptus flooring is often half the price of traditional wood flooring. Eucalyptus is extremely tough, resisting dents well and making it an ideal choice for flooring. 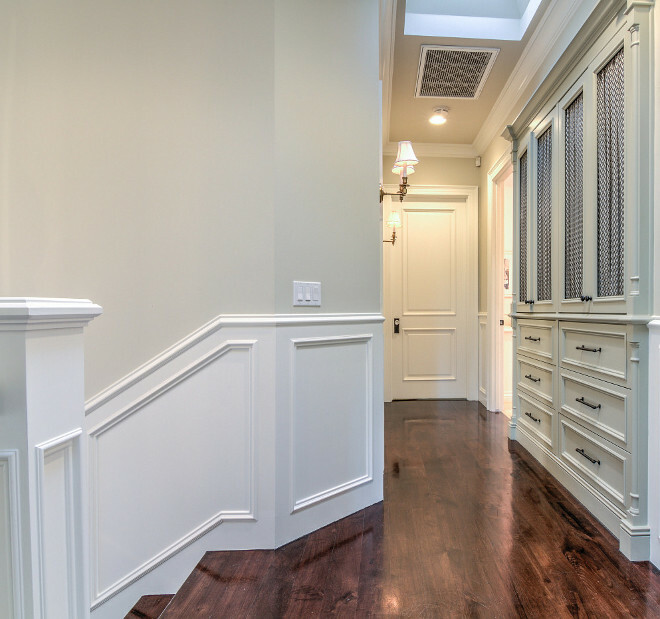 Experts say eucalyptus floors can actually be 20 percent harder than Northern red oak. While it’s normal to have a small amount of degrade in any type of wood flooring, there’s less degrade in eucalyptus than in oak. 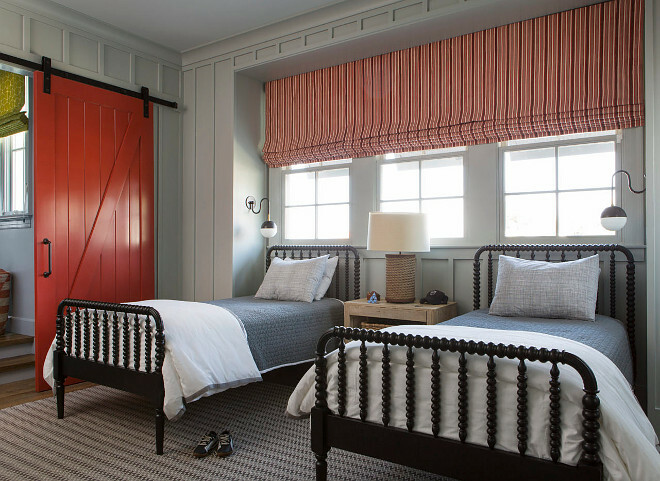 Bedroom features grey board and batten paneling and a red barn door leading to bathroom. 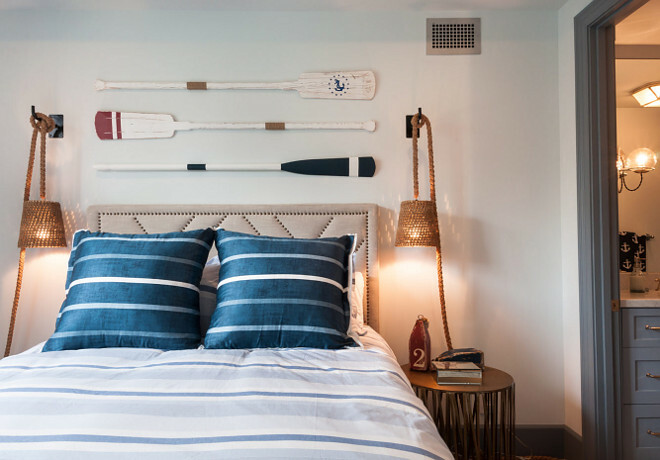 Cottage bedroom features vintage decorative wall oars fixed between woven swing arm rope sconces over a beige nailhead headboard. The bed is dressed in a blue and white striped duvet topped with blue striped pillows. 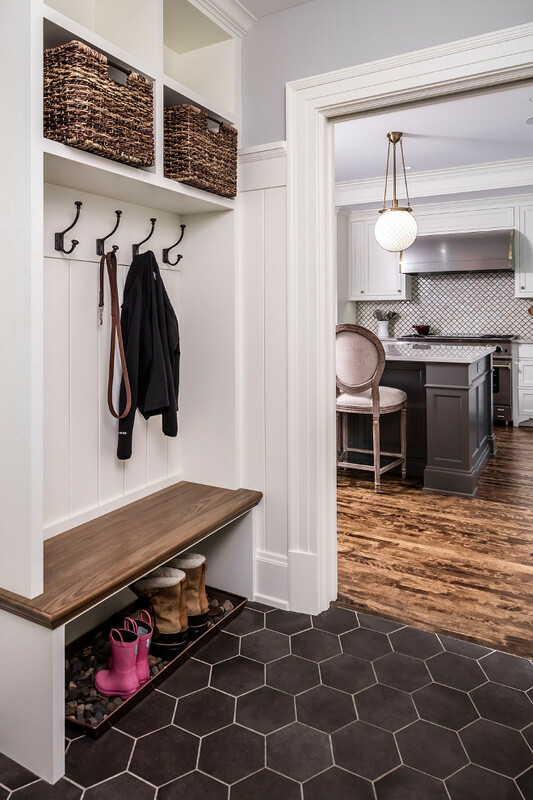 The mudroom bench top is 1 1/4″ thick. The side walls of the cubbies are 1 1/2″ but made from 3/4″ wood. The back is 3/4″ V-groove with a custom width. The large hex floor tile is SomerTile Textilis Hex Porcelain Floor and Wall Tile, Black. 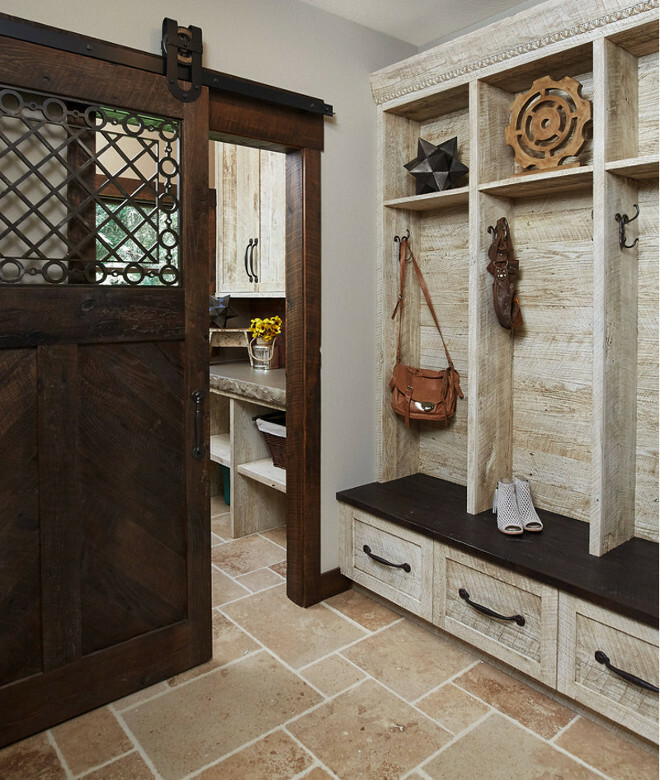 Rustic mudroom with barn hand hewn and rough sawn wood cabinet and shiplap. 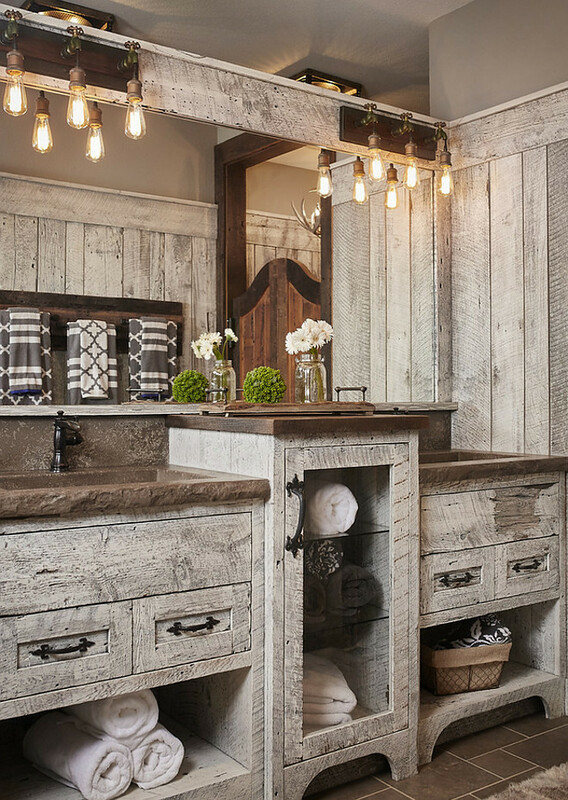 Notice the incredible design on the barn door. Mike Schaap Builders. 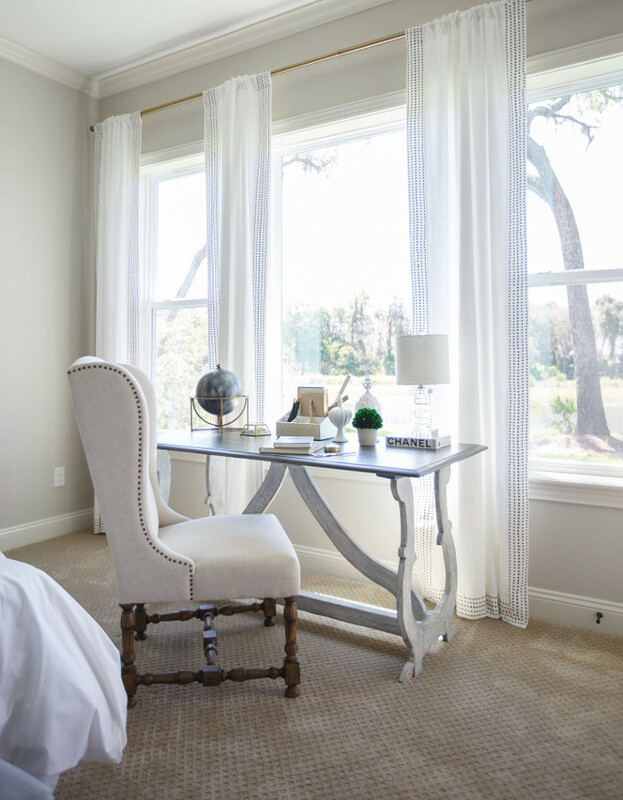 Benchmark Wood Studio Inc. (Image by Ashley Avila Photography). Image by Ashley Avila Photography. 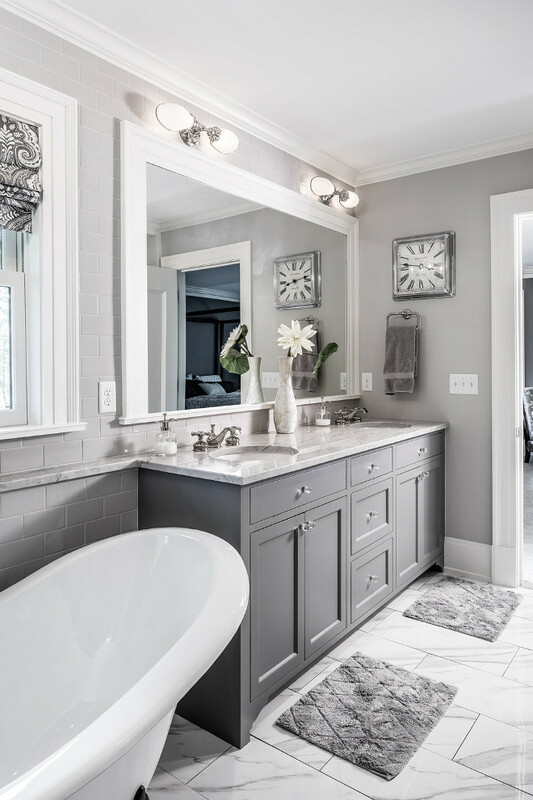 The grey cabinet paint color is Benjamin Moore Kendall Charcoal. 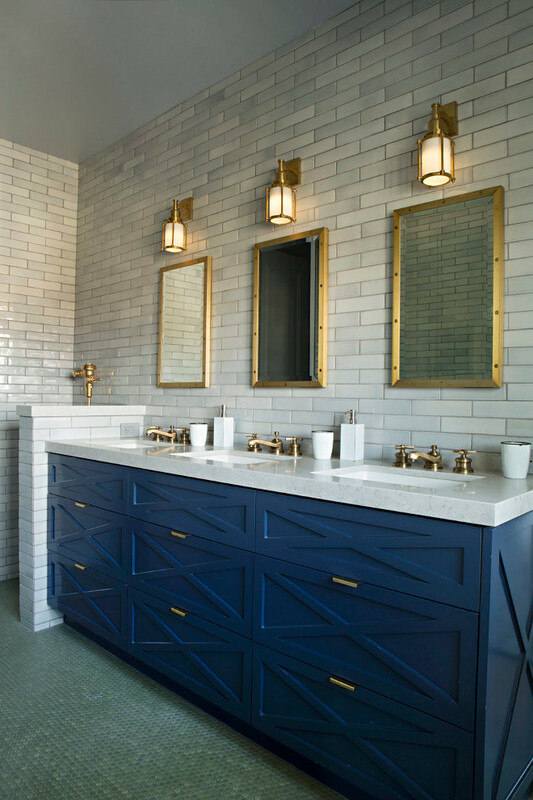 Bathroom feature X inset cabinet drawers painted in a navy blue color. 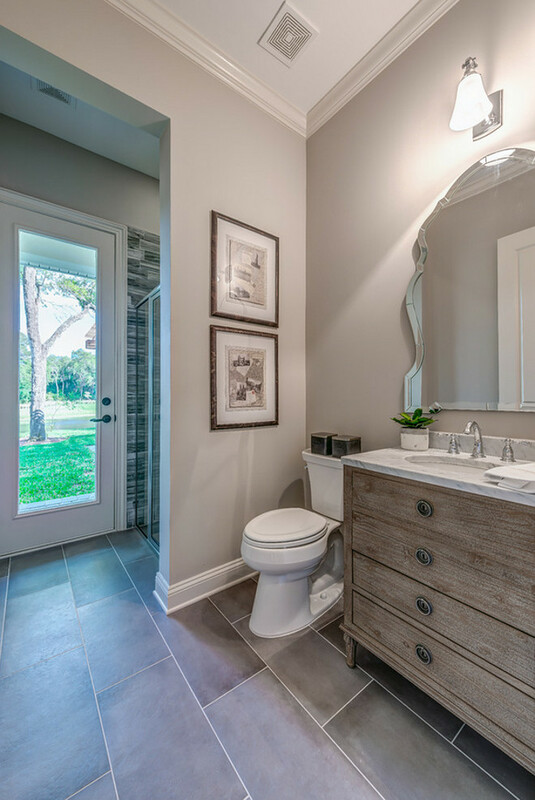 Bathroom with large shower, blue grey cabinet and greige doors. Sherwin Williams SW7043 Worldly Gray. 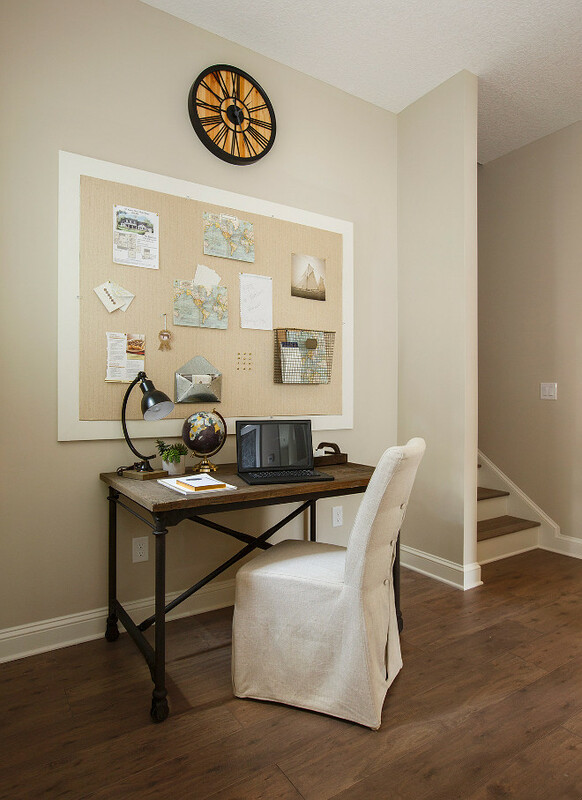 Paint color is Sherwin Williams Worldly Gray SW 7043. 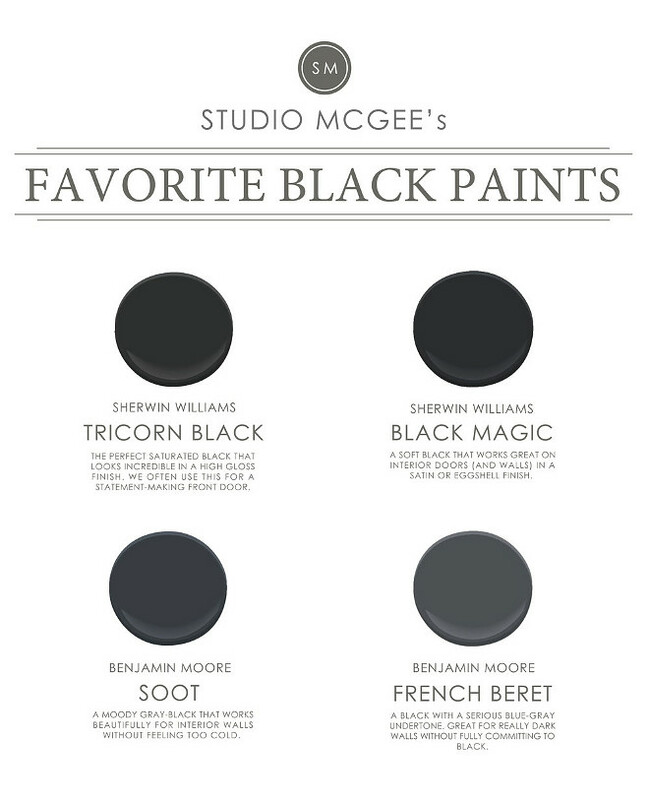 Most Popular Black Paint Colors: Sherwin Williams Tricorn Black (Saturated black paint color great for front door). Sherwin Williams Black Magic (Soft black, great for interior doors and window trim). Benjamin Moore Soot (Grey Black, great for cabinets and walls). 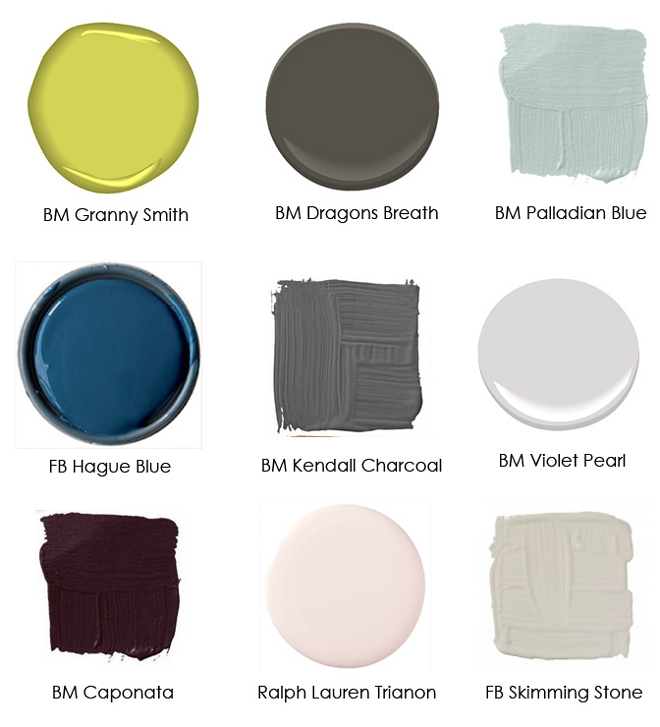 Benjamin Moore French Beret (Black with blue gray undertone). 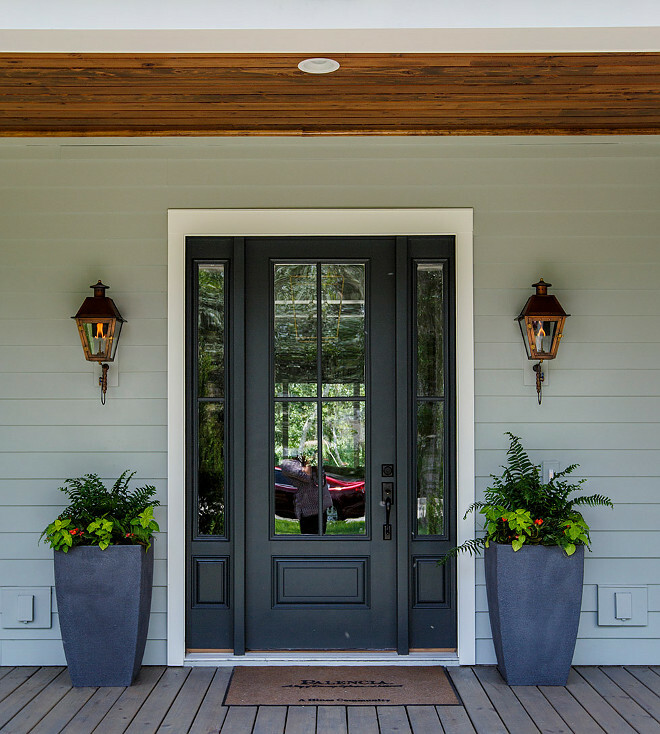 Great Door, Cabinet & Window Trim Black Paint Colors: Valspar Raven Black. Benjamin Moore Black Stain. Valspar Kettle Black. Farrow and Ball Off-Black. Behr Totally Black. Valspar Black heron. Behr Black Suede. Benjamin Moore Onyx. Benjamin Moore Black Beauty. 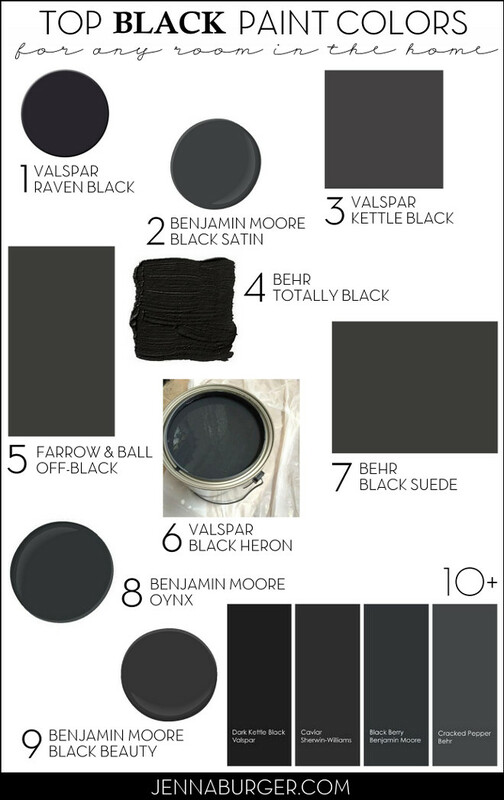 Valspar Dark Kettle Black. Sherwin Williams Caviar. Benjamin Moore Black Berry. Behr Cracked Pepper. 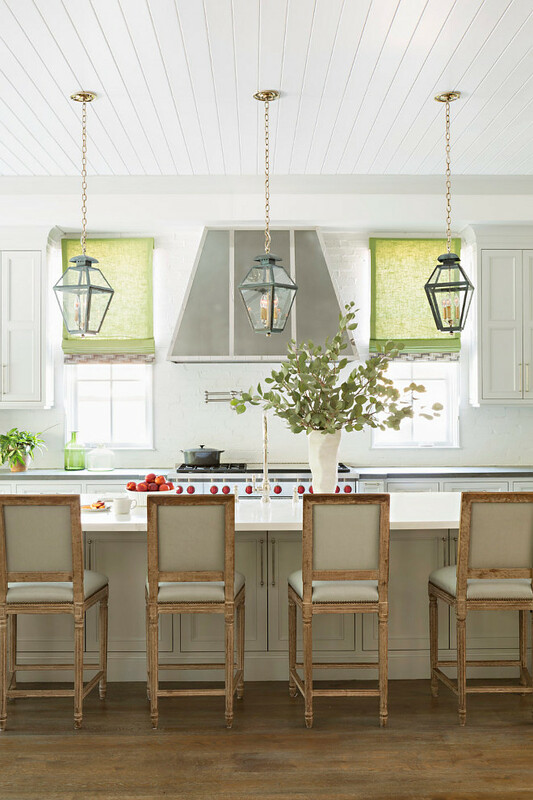 Transitional Paint Colors: Benjamin Moore Granny Smith. Benjamin Moore Dragons Breath. Benjamin Moore Palladian Blue. Farrow and Ball Hague Blue. Benjamin Moore Kendall Charcoal. Benjamin Moore Violet Pearl. Benjamin Moore Caponata. Ralph Lauren Trianon. Farrow and Ball Skimming Stone. 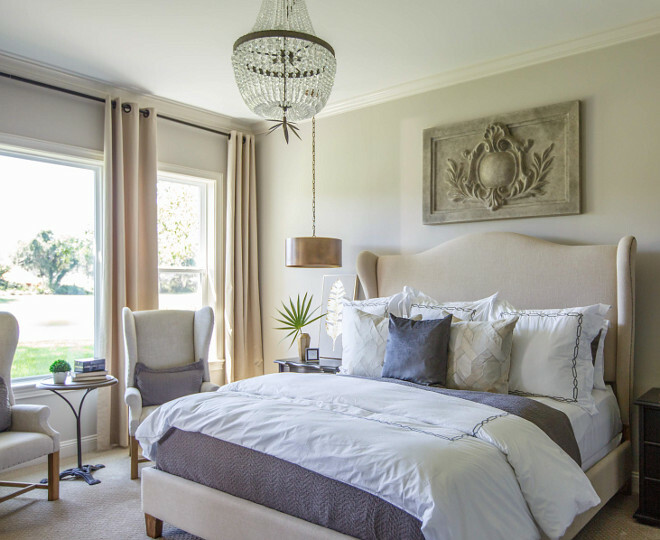 Soft, Neutral Benjamin Moore Paints: Benjamin Moore Whitestone. 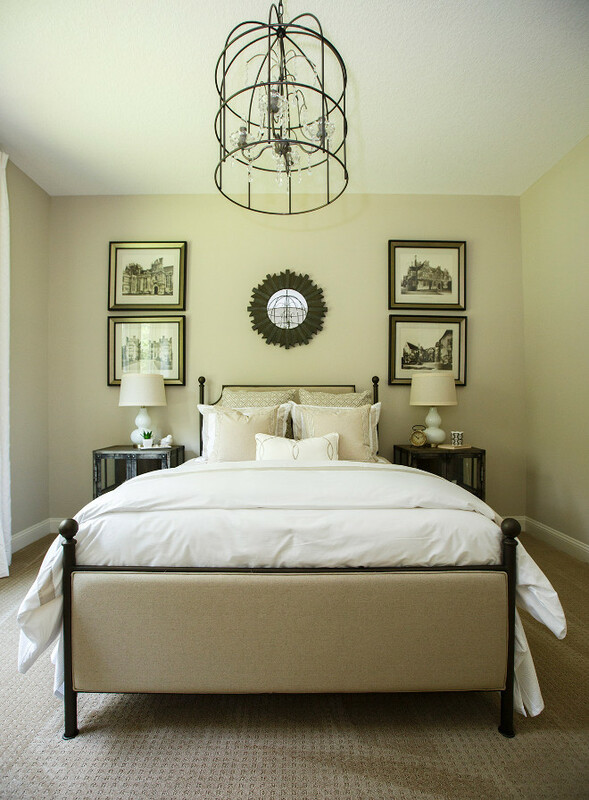 Benjamin Moore Classic Gray. 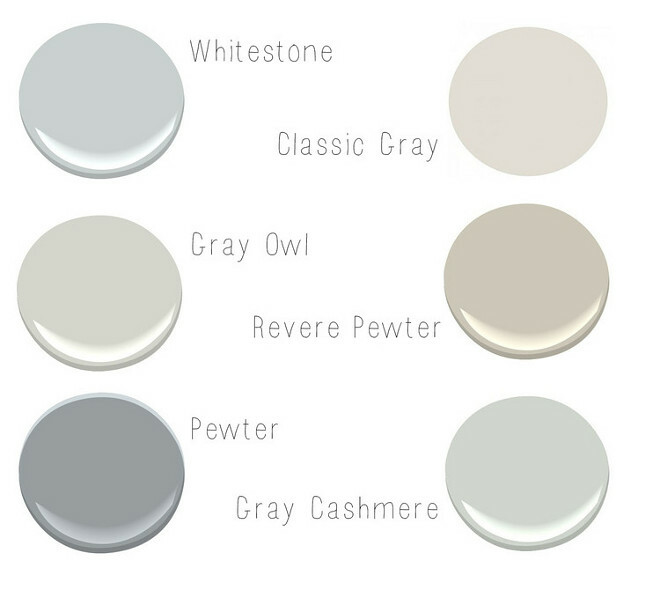 Benjamin Moore Gray Owl. Benjamin Moore Revere Pewter. Benjamin Moore Pewter. Benjamin Moore Gray Cashmere. 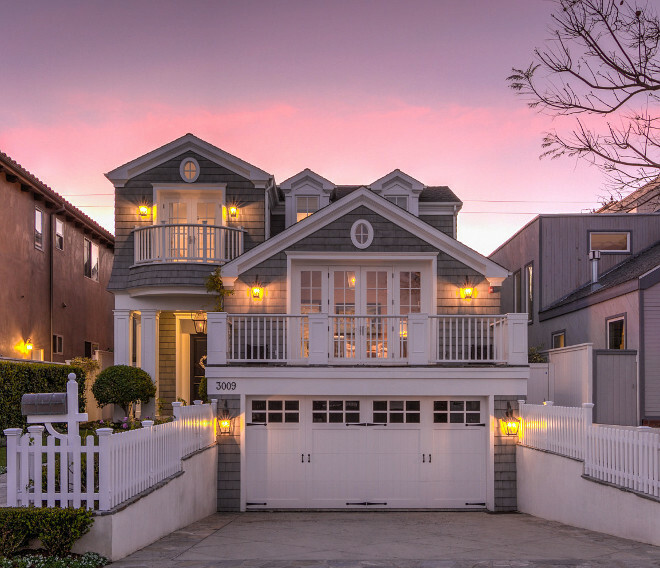 Beach house with off white siding, light gray trim and garage door. Front door is painted in an orange color. 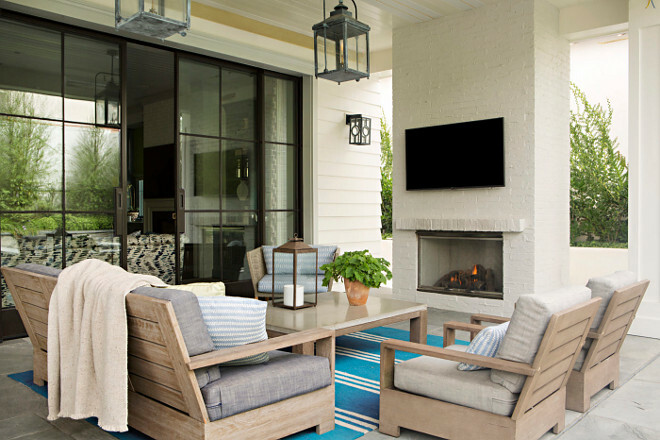 Outdoor patio with painted brick fireplace in a soft, creamy white color. 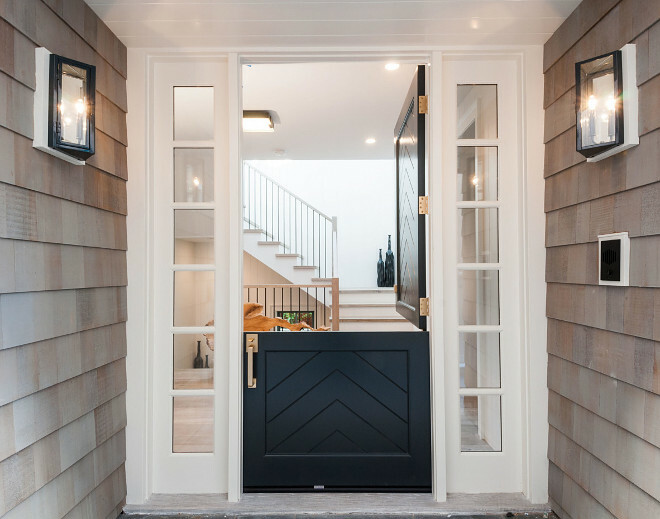 Dutch Door Paint Color: Benjamin Moore Hale Navy. Rock Bottom by Sherwin Williams. 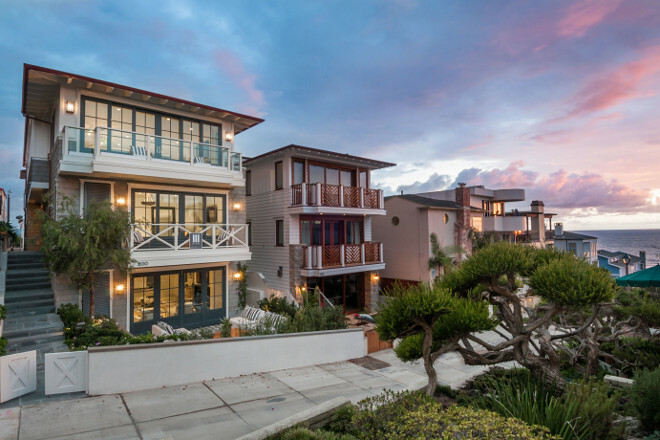 Herlong & Associates Architects + Interiors. 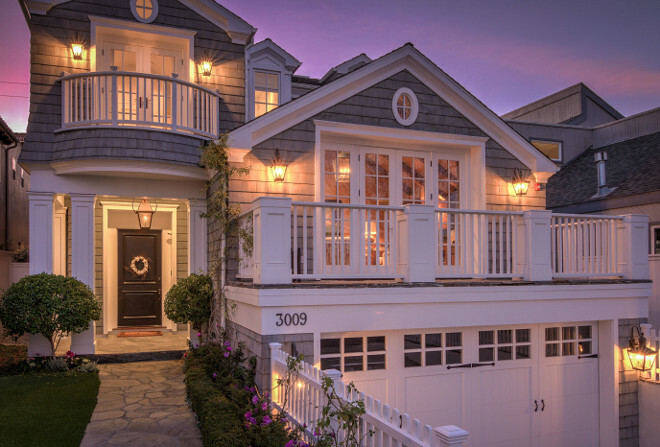 Tuesday: Grey Shingle Home with Cheerful Coastal Interiors. 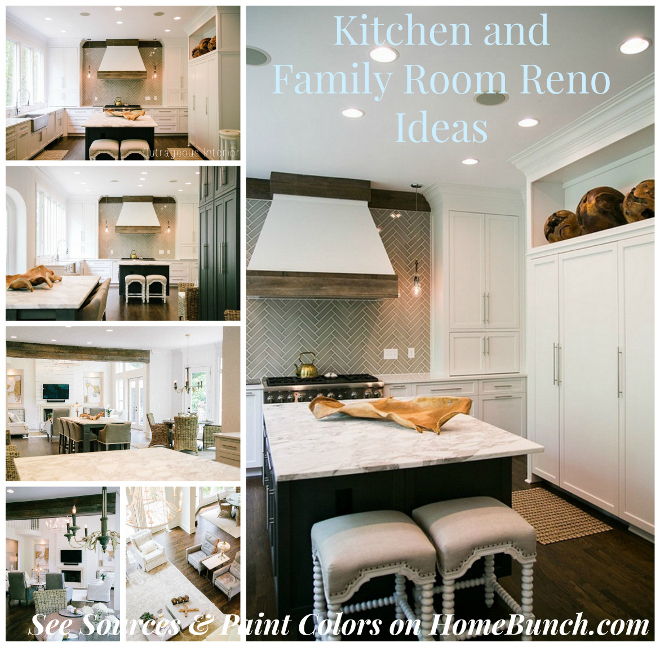 Wednesday: Kitchen and Family Room Reno Ideas. Wasn’t it a fun post? So many interesting ideas, inspiring interiors, things that grab our attention. I hope you felt the same! Have a very blessed weekend, my dear friends and thank you for being here today! Sources: 1st Image: Elevation Homes. Remaining Sources: specified below each image. Mike Schaap Builders. Jenna Burger. 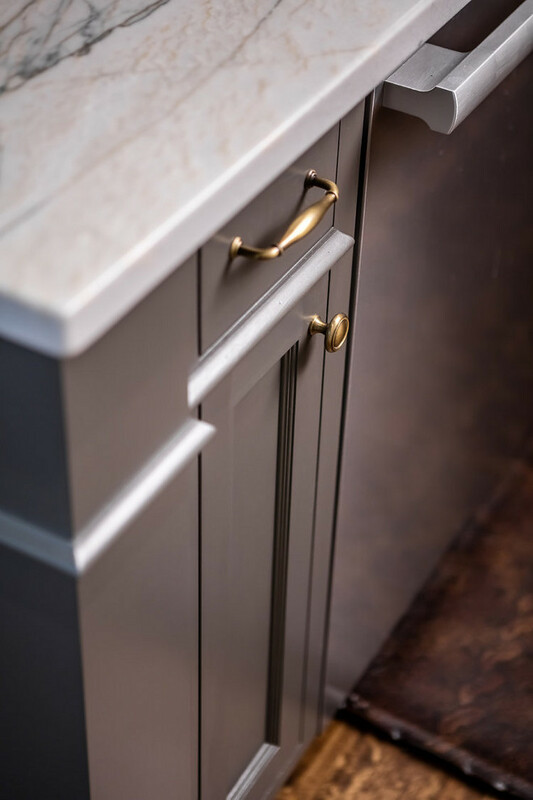 Benchmark Wood Studio Inc. (Images by Ashley Avila Photography). Cottage Home Company. Village homes Inc. Quartersawn Design Build. 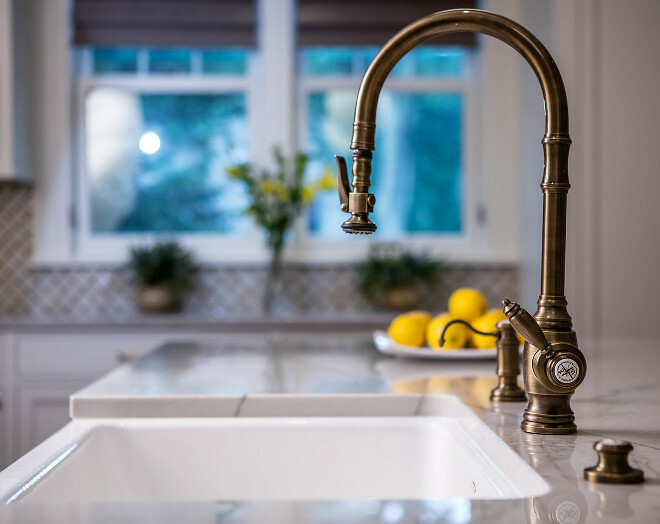 Shayelyn Woodbery Interiors, LLC. Matt Morris Development. Redo Home and Design. Studio McGee. 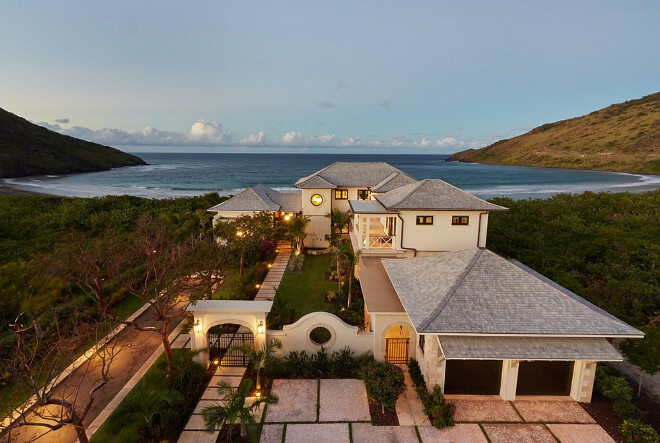 Herlong & Associates Architects + Interiors. 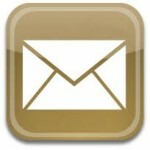 A wonderful post to explore this rainy weekend. Thank you again dear Luciane! The movie Far from the Madding Crowd (2015) with Carey Mulligan and Matthias Schoenaerts could be a good choice. Enjoy!